If you are a regular shopper at York Super Pharmacy, you could save money by joining up to our new Vicinity Rewards Program. Sign up now and start saving whenever you shop. 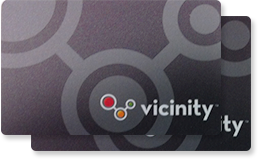 Simply register for the Vicinity Rewards Program by giving us your name and phone number, and you will be able to start earning points every time you spend with us, subject to eligibility requirements. We will even give you 50 bonus points for free, just as a 'Thank You' for signing up! For more information about signing up, just ask for details in store. Once you have started to earn points with our new Vicinity Rewards Program, you can also begin to redeem your points in store. For every dollar spent, you will earn 1 point, and every 100 points that you earn will be worth $5.00 in store! 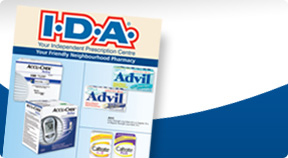 Exclusions may apply on prescriptions, lottery and post offices purchases. However, if you are a regular shopper at York Super Pharmacy, you will be able to see the benefits in next to no time at all. By signing up today, you will be rewarded for your loyalty in future, so don't delay if you want to reap the benefits of shopping at York Super Pharmacy! With thousands of different products in store, including big brands like L'Oreal, Maybelline and Revlon, there is no shortage of products to spend and earn points on. 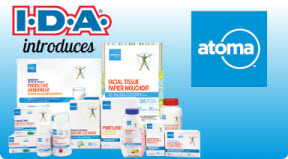 There are also always countless special offers, deals and discounts on everyday health and beauty items, which mean that you will always be able to find innovative, affordable solutions to all of your pharmaceutical needs. Open 365 days a year and renowned for its high levels of customer service, York Super Pharmacy is THE best place to go in Northumberland County for all of your health and beauty needs.